Plant records have been narrowed down to Echinacea only. 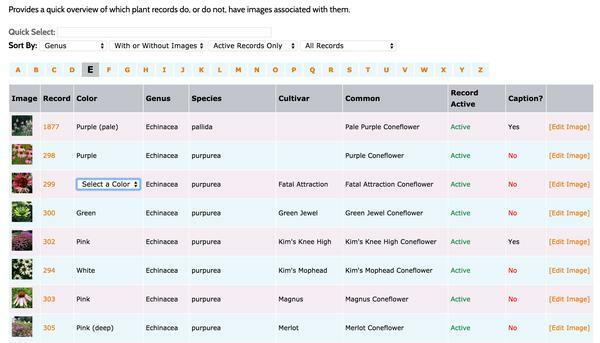 Quickly find plant records without images, captions or a proper bloom color selected. See the bloom color. If it's missing, it's easy to add the color via the drop-down selector.